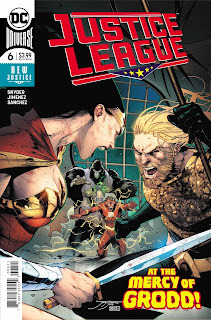 Justice League #6: Jimenez rocks. Green Lanterns #53: Good look. The Wild Storm #16: More plot progression please. Expect some thoughts about all these issues and a few more.